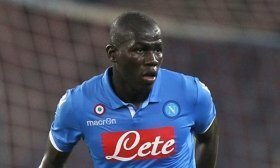 Manchester United are prepared to wait until the end of the season before securing the signature of Kalidou Koulibaly from Napoli. The Senegal international was the subject of transfer interest from United last month with Napoli president Aurelio de Laurentiis even confirming that the club failed with a £95m bid. According to ESPN FC, the Mancunian giants had initially hoped to sign the defender at the turn of the year after Napoli were ousted at the group stage of the Champions League. However, that no longer seems the case and they are prepared to wait until the summer with the Senegalese already indicating that he would fancy the switch in six months' time. Manchester United are currently under the guidance of Ole Gunnar Solskjaer on an interim basis following Jose Mourinho's sacking from the helm. He is widely expected to make way for an experienced head coach this summer.